“Downton Abbey” is pretty well undisputed at this point as one of the most-important shows on television, at least when you are speaking about ratings and cultural impact; and while you would think that most people would be watching it for the costumes or the complex storytelling, there may be another element that is the X factor for what brings this show to another level than the other period dramas out there: Humor. Yep, that’s right: The rare moments that you want to laugh. “I think one of the things that I think saves the show is that there’s a sort of bubbling sense of humour about itself. It’s almost like you could play the scenes exactly as we play them as a satire of Downton Abbey and they would work completely. We expect to see plenty more Maggie humor this coming season, especially when Shirley MacLaine shows up near the end for more story as Cora’s mother Martha. 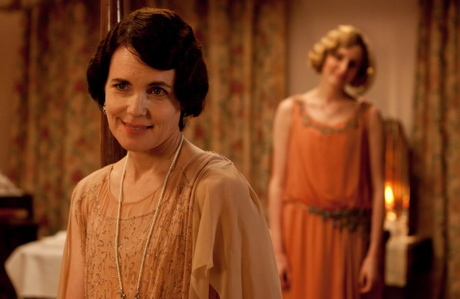 Do you want to read some more news related to “Downton Abbey”? Then click here, where you can read some more scoop about Joanne Froggatt on set. The new season of the hit show is slated to premiere in Britain at some point in mid-September, and on PBS on Sunday, January 6.